my husband & i have been keeping a meal planning calendar for a while. we plan out what we are going to eat so we can shop accordingly when we go to the grocery store. it's made eating healthy easier since we have a plan & supplies to make healthy meals. but in the past month, we have been taking it a step further. meal prepping can be done in a variety of ways. 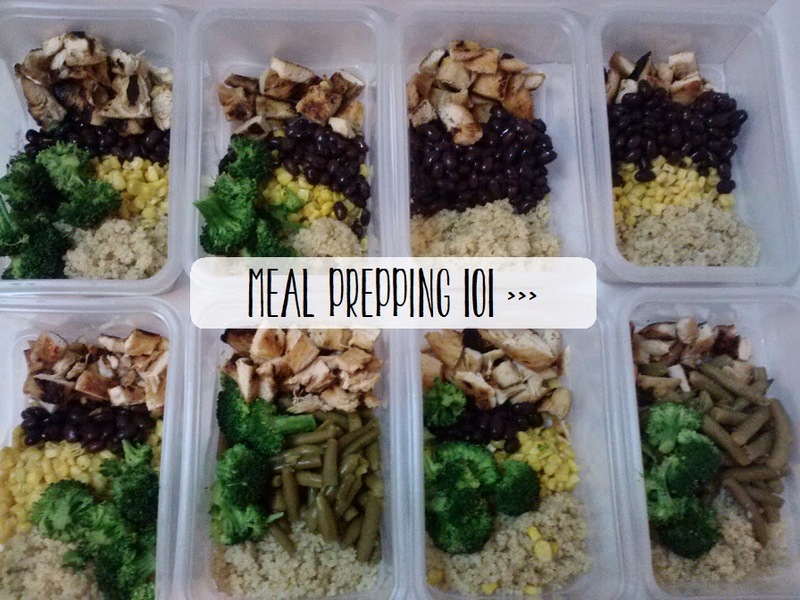 and really, what meals you are having depicts the exact way that you will prep for the week. so i just wanted to share how we have done it because it has made our life so much easier. maybe you can gain some cool tips or maybe you already do this. all i know is that i will never go back, because it's freed up a lot of time for us on weeknights. o1; we roughly plan out our meals for each month at the beginning of the month. we don't plan out every single day and this can definitely be flexible. but we list out enough meals so we can plan ahead and have everything to make them! this is pretty easy for us, because we are sticking to a lot of whole 30 meals and whole foods. so a lot of our meals have the same ingredients in them. o2; we create a grocery list for what we need each week. the first week of the month we buy any spices and non-perishable things we need for the month that we don't have or are running low on. we also stock up on frozen vegetables sometimes. we buy all of our perishable items and meats at the beginning of each week. i've even thought about just creating all of my grocery lists at the beginning of the month to be more efficient. or at least have a running list to work off of for each week. o3; each weekend, preferably on Sunday, prep as much as you can for the week. we prep lunch bowls for 4 days of our week. they last in the fridge until Thursday. o4; we prep & freeze things we can't or don't want to cook ahead of time. as an example - we marinate chicken breasts and then freeze them for an easy dinner. grab it out of the fridge, thaw, cook and add a vegetable side. we are also experimenting with crockpot frozen dinners, where we prep it all in a bag and freeze. to use these, we thaw overnight, stick in the crockpot each morning, and let it cook while we're at work. this saves a LOT of time during our morning since everything is already prepped. before we started doing this, my husband would never pack his lunch. he would either pick up something if he went out or just snack all day at work. so one of the things i have enjoyed about prepping lunch is that i know we are both getting a healthy lunch. below is our guideline for our lunch bowls each week. we cook the chicken & quinoa and steam the corn & broccoli, then we just assemble the bowls together. i don't know that it's necessary to steam the vegetables before putting the bowls together, but we just wanted to make sure they would heat up correctly in the microwave. since the beans come from cans, we just drain & pour them into our bowls. this makes enough for 8 bowls and we split the bowls however we want. i like all 4 of mine to be a bit different. it's kinda fun to just grab one out of the fridge and then see what i have when i heat it up at lunchtime. also, that keeps it from being the exact same thing everyday. this is so easy that i wish we would have thought of this while we were doing whole 30! you can certainly do this with whatever meat you want, whatever vegetables you like, and whatever grain. you could also do it with just a grain & veggies or just meat & veggies. the thing i like is that the possibilities are endless! what are some things you do to eliminate weeknight cooking? do you have a meal planning system? That's a pretty cool system you have going there! Angel's the only one of us who needs to bring lunches to work, I just make meals that pack and warm up easily and I make enough that we have them for dinner one day and he gets a couple of lunches out of them, too. Look at you being so organized! I wish I had the patience for it! :) I do want to meal plan more this summer, so I guess meal prepping is the next step!!! I really need to do this! It's so hard to be on top of having healthy food ready to go. I only cook mostly healthy meals but it's always last minute for me. I need to try to step up my prep game! I have never tried meal prepping, but this looks great! So yummy and so healthy! It's so easy for me to snack all day on unhealthy things at work because I didn't have time to pack a lunch. Also, I love how y'all cook together and plan together :) So sweet! Such good ideas! I feel like for a loooong time our grocery budget/meal planning stuff has needed an overhaul. I'm really terrible at meal prep, but it would definitely save time! ahh, male prepping made me laugh :) these meals look delicious - maybe i'll start packing lunch for my husband? Looks like a great system! I usually try to have 4 or 5 meals on the list that can be made ahead of time or quickly, plus a few handy backups that we are almost always in the mood to make and eat. Also, I try to make 2 of them a week be something new, in order to expand our cooking repertoire. But I am definitely impressed with your whole month of planning. Way to go! This is such a great meal prepping system! I've been struggling with meal prep lately now that my guy + I are on completely opposite shifts. We also eat VERY differently (I'm vegan, he's a meat lover), so lately we've been eating snacks instead of meals -- not healthy! I love this system, and I'm going to try to adopt it for our little fam :) Thank you! This is really helpful and definitely has some good tips for me to keep in mind! It's amazing how doing a bit of prep can help with not just eating more healthy foods, but also with saving time! Thanks for sharing Robyn! I loved this and so aspire to get into a routine. Our life has been in flux so there isn't a lot of pre planning. Love the recipe for lunch and will certainly use. it really is crazy how i can spend one hour during the weekend & have most meals prepped for the week! SUCH a time saver! 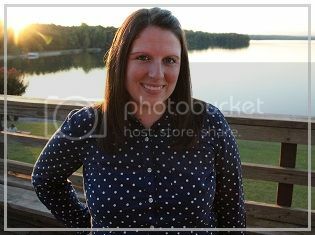 :) thanks Amy!